Excellent. 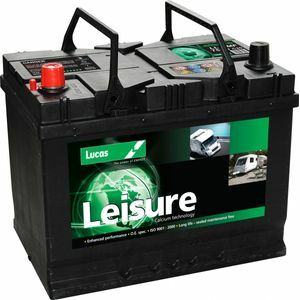 I'd never really heard of LEISURE batteries before I needed this one. But the Website was good for information. The order was immediately dispatched and the product is now installed and working perfectly. Thanks. Very efficient battery. Will buy again in the future. Good battery & delivered on day 3 after ordering. I was given a 3 hour delivery slot & battery was securely packed. Thankyou. Brilliant delivery and battery works fine. Very happy with product and delivery service ???? Delivery very quick and very well packaged. Have not used yet as it is for summer use in a chalet. Friendly and efficient service, and excellent speed of delivery. Product exactly as expected. Overall good value for money and a sound experience of Tayna. Good quality and performance especially at the price!